Previously, on my blog, I’ve spoken about communicating without making excuses or justifications for your decisions. I challenged you to spend a period of time trying to respond to requests in an authentic and honest manner. Today, I challenge you to gain a new respect for the word, “no.” Say it. Mean it. And, honor it. Use it with wild abandon and see how it feels. Pay attention to how you feel when you say it and how you feel when you hear it directed at you. If it doesn’t feel good to say it, dig a little deeper and ask yourself, “Why?’ If it doesn’t feel good to hear it, notice what comes up for you and what you do in response. 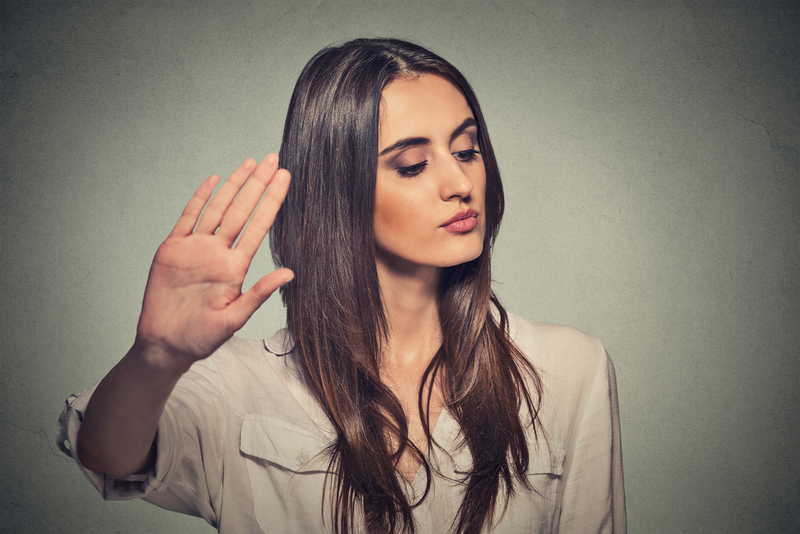 For constructive communication, negotiation and problem solving it has to be acceptable and safe for people to say “NO!” You can’t have honest interactions without it. If it isn’t safe to say “no” then it won’t be safe to authentically ask for anything. And, if it isn’t safe to ask, you’ve got “trouble ahead, trouble behind.” When we can’t outright ask for the things we want, we have to go about manipulating our way through to get it. For example, I will often notice a parent’s discomfort with responding “No” to a child’s request. Instead of politely and firmly saying, “No ” they will get all flustered and initiate the redirect tactics. This usually begins with trying to talk the child out of wanting whatever it is they asked for, explaining all the reasons it isn’t really worth wanting, why they probably won’t like it, or why it isn’t even good for them. Then, they’ll bring out the big guns and move onto why they shouldn’t have asked for it in the first place. If reason doesn’t suffice to dissuade the request and the requester, they’ll play the guilt and shame card. The card that stops all of us in our tracks and squelches our previous desire.